Improving customer service with corporate communication. The Port of Felixstowe faced a common challenge for many organizations; to provide real-time and relevant information to their employees. The Port needed a way of providing consistent information to those in frontline roles who are delivering service to their customers every day. 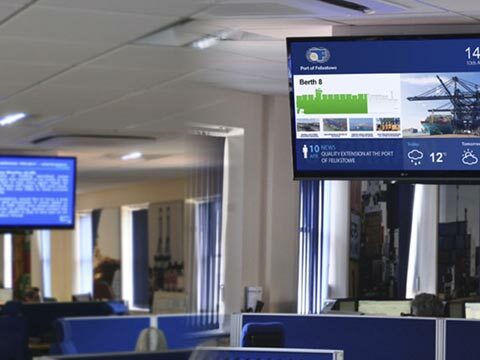 The ‘Media Screens’, the Port’s digital signage project, provided an alternative source of information for employees in operational roles. After researching a number of options, PADS4 was selected to manage content and deliver information to numerous locations across the Port. 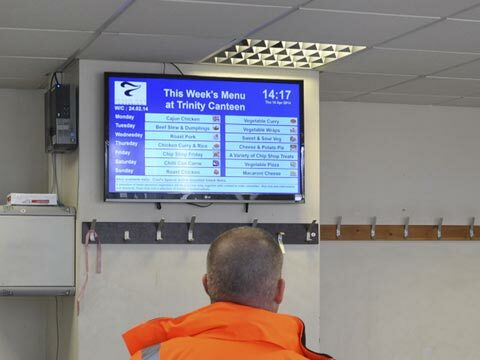 26 screens have been installed in canteens, break areas, reception and other communal areas. 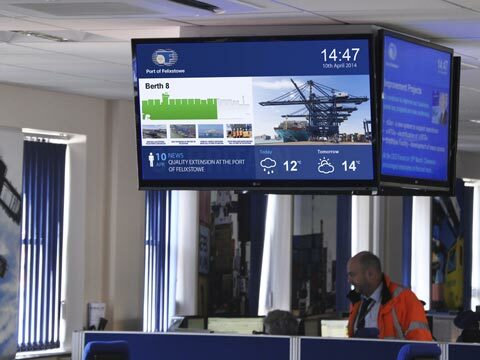 For a real-time and relevant display of crucial corporate information The Port of Felixstowe has selected PADS4 digital signage software. Like thousands of other companies worldwide, this company values the way how PADS4 collects any corporate data and shares it on public or staff displays. To run a successful business you need effective communication. Not only by timely informing your employees or colleagues, but also by building employee engagement. The Port of Felixstowe is Britain’s biggest and busiest container port, and one of the largest in Europe. The port handles 3.7 million TEUs (Twenty-foot Equivalent Units) and welcomes over 3,000 ships each year, including the largest container vessels afloat today.